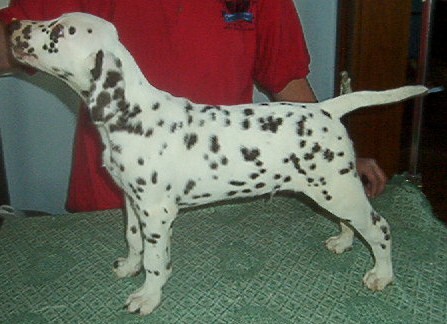 The Dalmatian is a strong, symmetrical, athletic dog with a distinguished spotting pattern. The body is square, strong, and sturdy, and the skin and coat are tight on the body. The head carries an alert and intelligent look with moderately sized brown or blue eyes, and the ears are wide at the base and taper to a rounded tip. 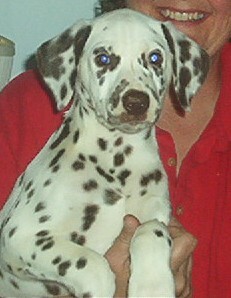 The nose is completely pigmented to correspond with the color of the spots: either black or liver. The tail is never docked, and carried high and curved but never curled over the body. The coat is short and dense and appears sleek and glossy. Coloring is pure white with spots of either black or silver. The spots can range in size anywhere from the size of a dime to the size of a half-dollar. 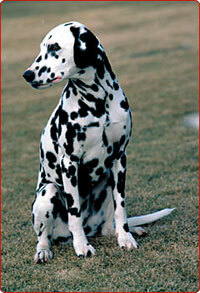 Common Misspellings Dalmation, Dalmacian, Dalmashion or Dalmashian. Dalmatians are not good yard dogs because they love their families and can become very sad and even depressed without human companionship. They are very well known for their ability to remember for years any bad treatment they have suffered. 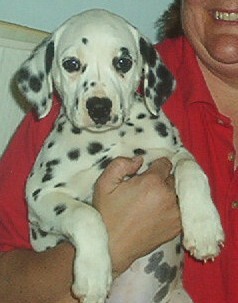 Dalmatians love children and enjoy playing with them but they are a little too rambunctious for toddlers. 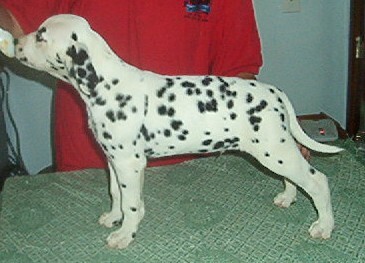 Without proper socialization, the Dalmatian can be timid or aggressive; often, males do not like other males. 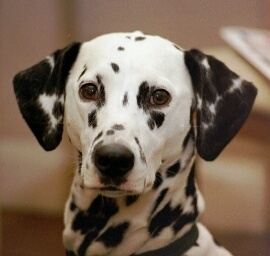 The Dalmatian is an intelligent breed but needs consistent, firm training. A home with a yard is best so that the dog can go outside and play and come back inside with the family. The dog does not tolerate the cold well, so outdoor living in cool climates is not an option for this breed. 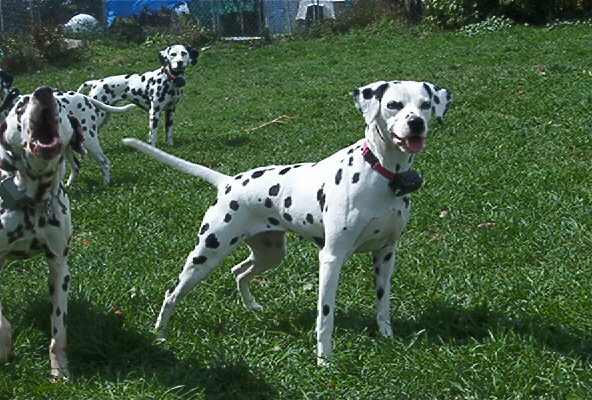 However, even with a yard, the Dalmatian needs time daily to play with other dogs or go for a good run; without sufficient exercise and socialization, the Dalmatian can get into trouble at home. 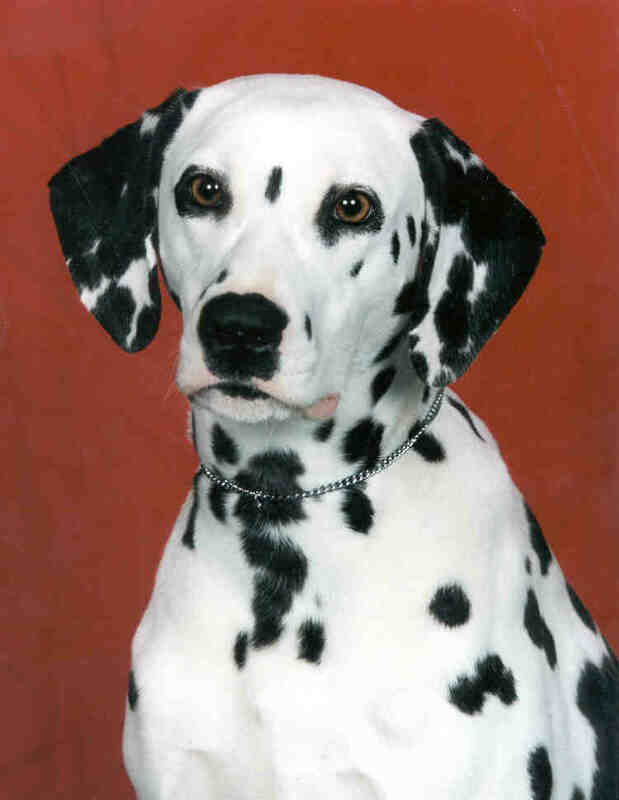 A breed known for actually avoiding puddles, Dalmatians are fairly clean dogs that are relatively odorless. However, they shed constantly so regular brushing is necessary to take off all the dead hair. They shed profusely twice a year, usually with the changing from winter to spring and then fall to winter, so during these times, daily brushing is a must. Health concerns particular to this breed include deafness, which affects about 10% of Dalmatian puppies, and urinary stones. Hypothyroidism, seizures and allergies are also sometimes seen. There are many theories to attach the origin of the breed to either Europe, Asia, or Africa. The breed gets its name from Dalmatia, a region in Yugoslavia where the dog is thought to have first become popular with humans. Since then, the dog has been employed in more ways than perhaps any other breed of dog: military dog, watch dog, shepherd, trailer, ratter, retriever, draft dog and circus dog, just to name a few. In England, the dog was even trained to run alongside the carriages of fire brigades and wealthy aristocrats, protecting them from robbers and dangerous animals. 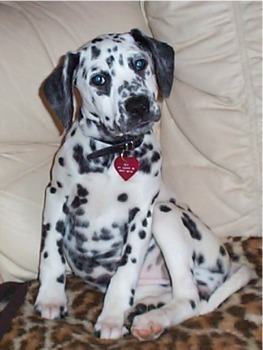 It was in this capacity that the Dalmatian received the nicknames English Coach Dog, Carriage Dog, and Fire House Dog. The Dalmatian was transported wherever horses were carrying carriages, which eventually brought the dog to America. 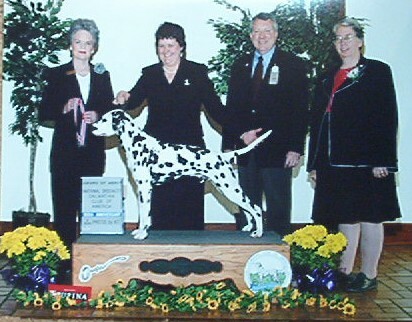 The American Kennel Club recognized the Dalmatian in 1888. 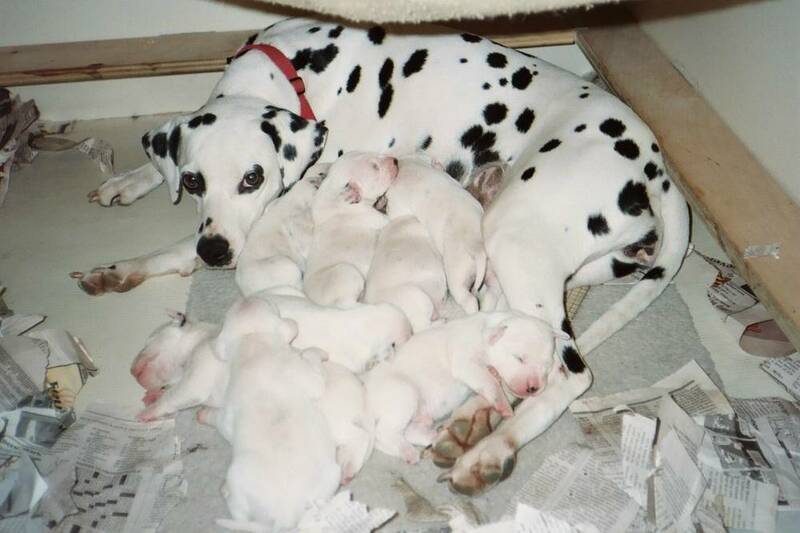 The release of the highly popular film 101 Dalmatians, as well as subsequent re-releases and sequels, caused wild swings in the breeds popularity during the 20th century. Today, the Dalmatian is neither at a peak nor trough in popularity, and remains a revered dog with devoted followers all over the world.